This volume contains the edited transcript of the third Totts Gap Colloquium held at Totts Gap, Pennsylvania, June 14-16, 1976. The Colloquium was aimed at sensing and evaluating anticipated pat- terns of medical responsibility and practice and preparing for im- minent change - specifically as it will concern the role of the doctor. Recognizing that community values and social behavior are powerful forces affecting health, the participants explored ways in which the physician and the rest of the health care professionals may exert their salutary influence. What are the boundaries in which the doctor can function most usefully and effectively? 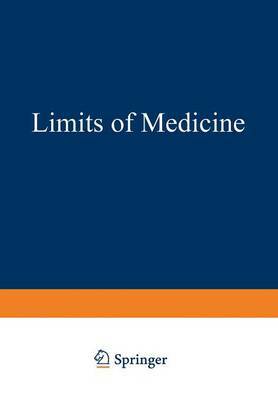 The problem was examined from the view- point of the philosopher, the public, the social scientist, the medical educator, the legislator, and the practicing physician. Currently available literature is unidimensional in the sense that it consists largely of essays written from an advocate point of view. In contrast, the participants of this Totts Gap Collo- quium examined disparate data and opinion in the hope of achieving, insofar as possible, reconciliation and synthesis. The dialogue dealt with values and priorities attached to health and health care by our society and with the shifting perspectives occasioned by rapidly expanding scientific knowledge. Questions of economic choice and of public policy were dealt with, assessing anticipated costs of the various options to the community, as well as their implications for medical education.